Hi everyone! 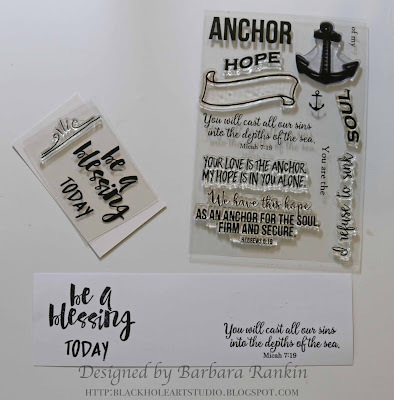 Barbara here on the Craftwell Blog with some inspirational bookmarks using my eBrush and stamps from our partner, Latina Crafter. The style and theme of these are perfect for making inspirational bookmarks for gift giving, special occasions, and of course, to keep. I know I've said this before, but I think the best thing about using the eBrush is that you can make your own background papers and all of your embellishments to match that background. To begin, I cut three pieces of off-white card stock to 3-1/4" x 8-1/2". 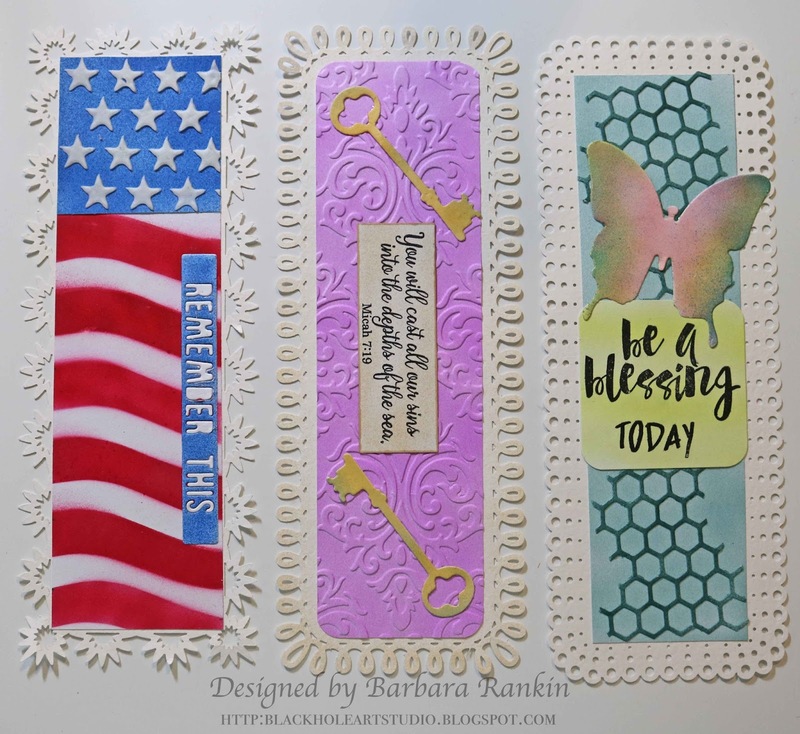 I used decorative corner and edger punches to make each different bookmark. 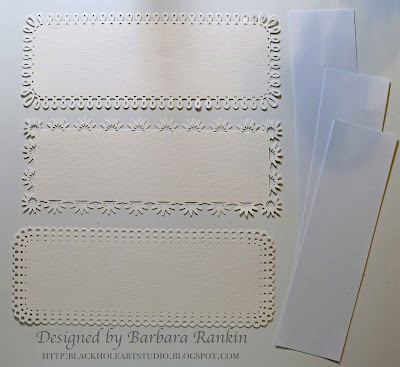 Trim three pieces of white card stock to 2-1/8" x 7-1/2". These will be the background layers. 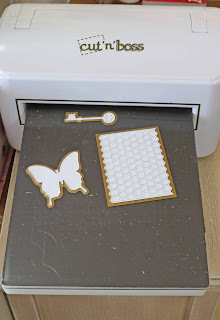 I will show you in a bit more detail how I made the first bookmark. Lay straight edge of a scrap of paper across top of background layer. eBrush with blue marker. Now cover the blue section with that same scrap of paper, and cut a slight wave shape from another scrap of paper. 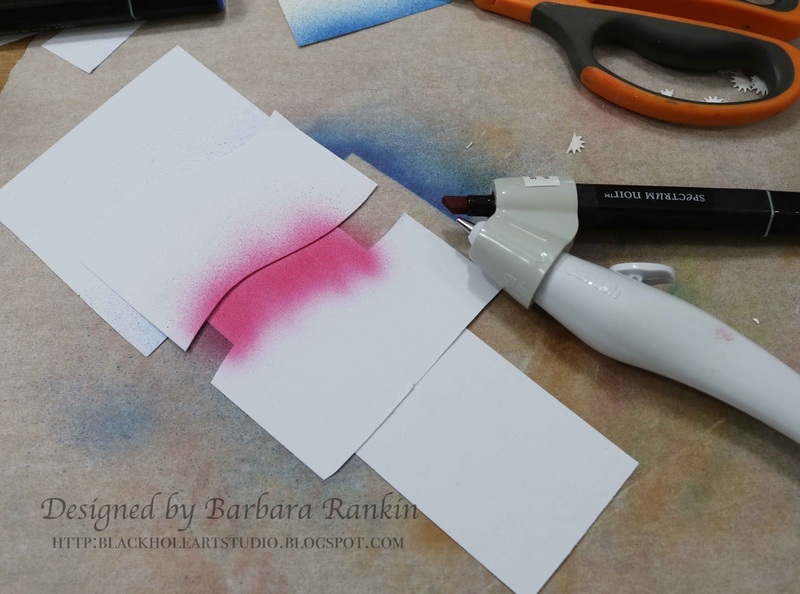 Lay both wave shape pieces over background layer and eBrush with red marker. Mover papers down the length of the background and continue eBrushing with the red marker to make the flag stripes. 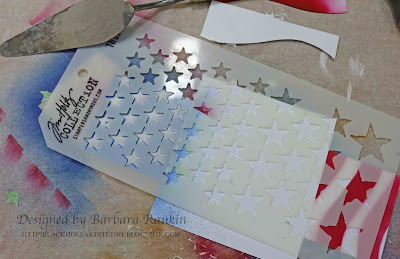 Cover stripes and spread white texture paste through stars stencil, let dry. 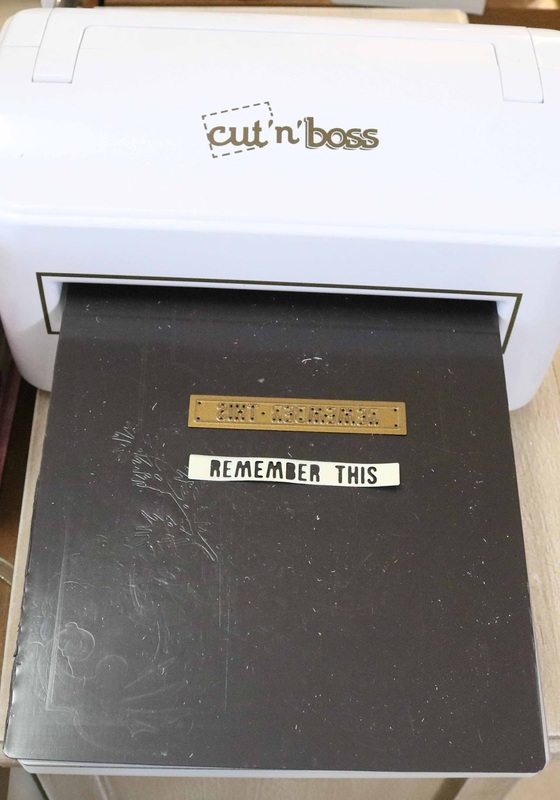 Die cut REMEMBER THIS from the Teresa Collins Project Die with the Cut ' Boss die cutting machine. Save the letters that fall out from the die. This machine cuts thin dies effortlessly. Adhere background layer to bookmark. eBrush with blue marker and adhere to bookmark, as shown. Replace white letters from die. it with V04 Lilac. 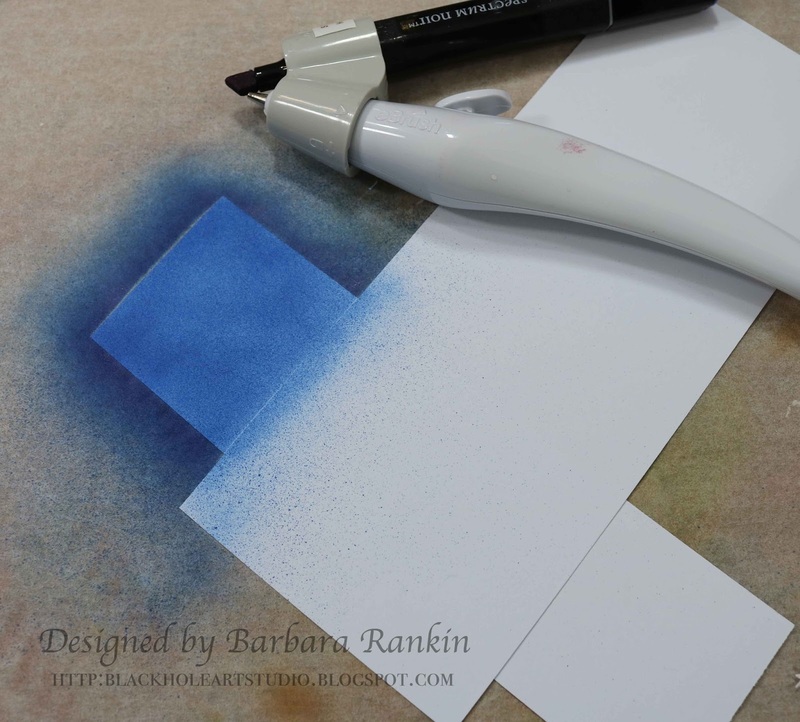 I love how the eBrush allows you to cover large areas so smoothly and quickly. I decided to distress the bookmark a bit, so I eBrushed the edges using E31 Brick Beige. Round corners with corner rounder punch and adhere to bookmark. 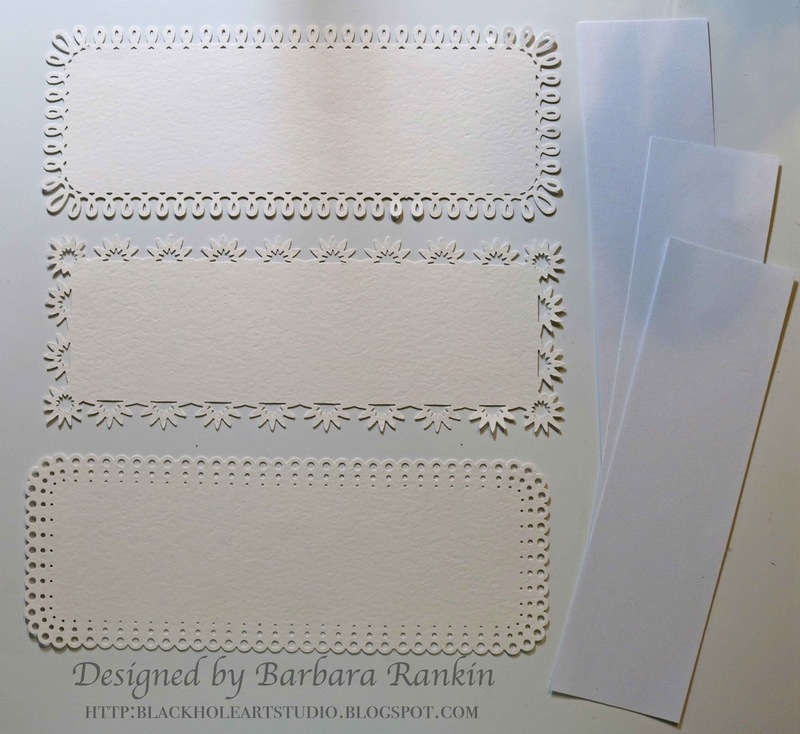 I die cut these three elements from white card stock using the Teresa Collins Project Dies using the Cut n' Boss machine. On a piece of scrap white card stock, stamp two sentiments from the Latina Crafter set with black archival ink. 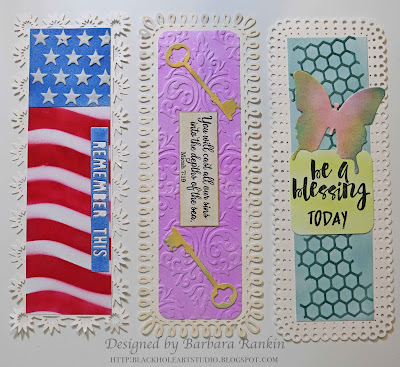 Trim around each sentiment and save one for the next bookmark. I cut an extra key, then eBrushed both keys with YR21 Cream and BG72 Ice Cream. The sentiment was eBrushed with the E31 Brick Beige to match the distressing on the outer edges. Adhere pieces to bookmark, as shown. 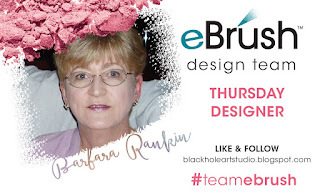 For the third bookmark, eBrush background layer with BG72 Ice Cream and adhere to bookmark. 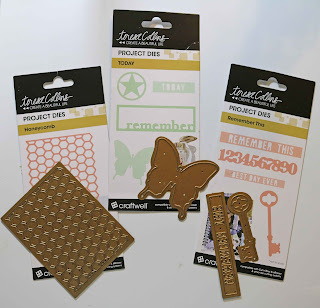 Tear honeycomb die cut in half, unevenly, and eBrush with BG78 Bronze. Adhere to background layer. eBrush butterfly with RV11 Pink, edge with B28 Royal Blue and YG21 Anise. Round corners on sentiment and eBrush with YG21 Anise. Adhere to bookmark, as shown. 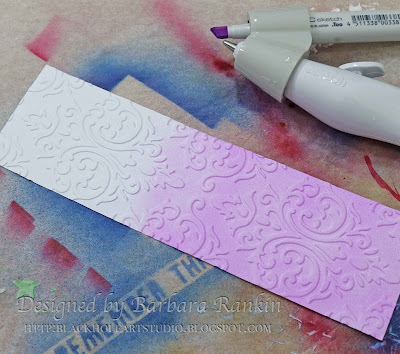 Since these are bookmarks, I kept them thin and smooth, without much dimension, other than from the die cuts.